My little Norfolk Dialect book came out a few weeks ago – I somehow failed to announce it here, being mired in a Sargasso Sea of work, family stuff and … well, mainly work. I’ve been subcontracting for Routledge, working for agencies in Europe and keeping up with academic and private clients – well, let’s just say I haven’t always achieved my requisite seven hours of sleep a night. I’ve really enjoyed having all the work, of course, and I’m not moaning about it, but it’s in the nature of freelancing that there will always be fat times and lean times. I’ve just come through a fat time. 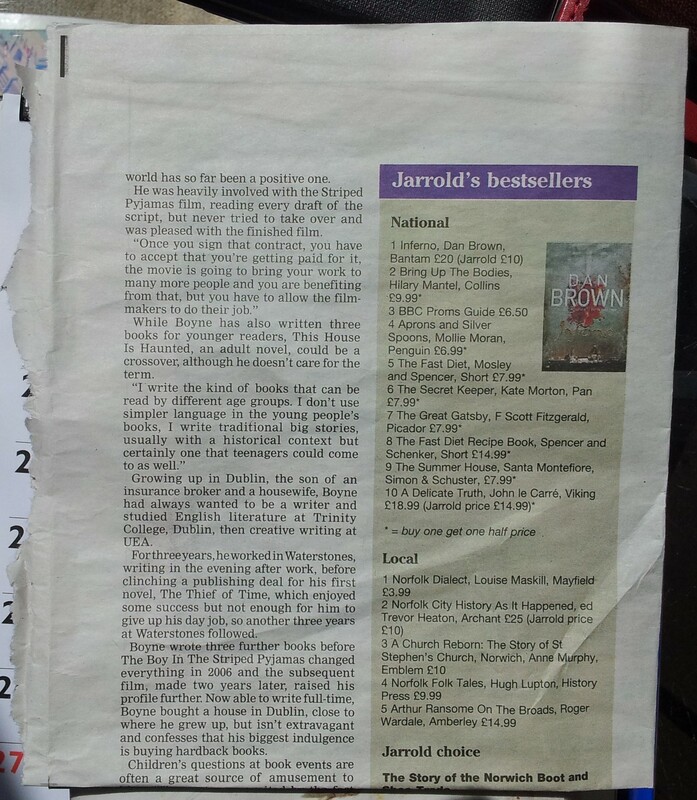 And there I am, on (almost) the same bestseller list as such luminaries as F Scott Fitzgerald, John le Carre, Hilary Mantel and Dan Brown. (Mainly the first three, to be honest.) The image shows a cutting from the Eastern Daily Press weekend edition from a couple of weeks ago, and Jarrold is a local printer/publisher/bookseller. Local number one bestseller? I thank you. This entry was posted in dialect, publication, writing.